When consumed in these amounts, the health benefits of red wine include lowering your risk for serious chronic diseases like heart disease, Alzheimer’s, and diabetes. While there are many health benefits of wine, it's important to remember that moderate drinking can increase a woman's risk of developing breast cancer, according to research. Numerous health benefits of red wine are associated with light-to-moderate consumption, which means 1-2 glasses a day for men and ½ -1 glass a day for women. When consumed in these amounts, the health benefits of red wine include lowering your risk for serious chronic diseases like heart disease, Alzheimer’s, and diabetes. A daily glass of red wine may even make you less prone to depression, according to the latest clinical study investigating the health effects of red wine. Compared to other alcoholic beverages, red wine contains a complex and concentrated mixture of healthy plant chemicals called polyphenols. The main polyphenols in red wine, such as compounds known as anthocyanosides, catechins, proanthocyanidins, and stilbenes (resveratrol) affect many body functions including the regulation of cholesterol, inflammation, and blood vessel dilation. Red wine contains around 10 times more polyphenols than white wine because during the wine making process, red wine, unlike white wine, is macerated for weeks with the skin on. The skins of the grapes contain the highest concentrations of polyphenols. Studies on red wine are ongoing in the attempt to further understand which of its components are responsible for its various health benefits. Some of the health benefits of red wine, such as its ability to help decrease blood clotting, are simply related to red wine’s alcohol (ethanol) content. Other benefits of red wine, however, such as its ability to improve blood vessel dilation and relaxation, are due to its high content of certain polyphenols, like resveratrol. And some of red wine’s health benefits, like decreasing inflammation, likely come from both the alcohol and polyphenols, researchers speculate. Heart disease—Moderate alcohol consumption, particularly of alcoholic beverages rich in polyphenols like red wine, reduces the risk of developing heart disease by about 30%. It also lowers the risk of suffering from the dangerous consequences of not only heart disease but all types of cardiovascular disease. This means individuals who consume 1-2 glasses of red wine a day are less likely to have a heart attack or stroke or to suffer from heart failure. Heavy drinking (more than 3 drinks per day), on the other hand, worsens the risk of developing heart disease risk and suffering from its complications. The ability of moderate consumption of red wine to lower the risk of heart disease is related to its protection against atherosclerosis, the formation of artery-clogging plaques. The alcohol in red wine increases HDL cholesterol, decreases inflammation, and inhibits blood clotting, all of which decrease atherosclerosis risk. 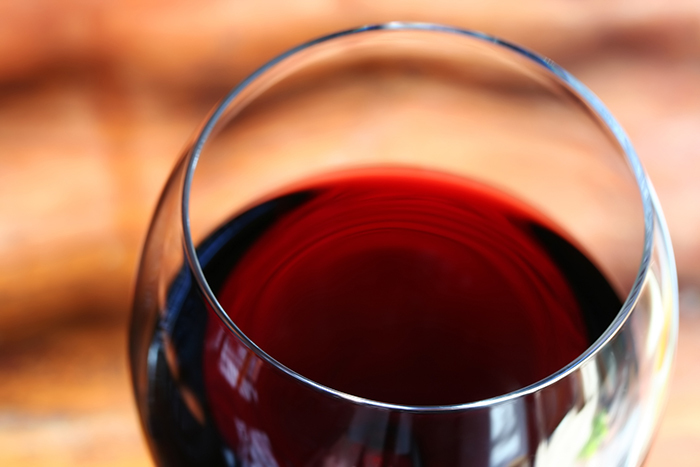 The polyphenols in red wine provide additional benefits for preventing and reducing atherosclerosis: besides inhibiting platelet aggregation and reducing inflammation, red wine’s polyphenols help decrease blood pressure, reduce the oxidation of lipids, enhance the ability of blood vessels to properly relax and dilate, and activate proteins that prevent cell death. Ellie Wilson, MS, RD answers a common question about how red wine stacks up against white wine. Q: Is there any difference between red and white wine when it comes to health? A: There is debate about the benefits of drinking red wine versus white. Comparisons show more similarities than differences, but research has uncovered some interesting clues. A basic nutrient comparison shows each contains the same 127 calories (per 5-ounce glass) and 13 percent alcohol by volume. Vitamin and mineral content in both includes vitamin B6, potassium, iron, and magnesium, but amounts are not significant. Alcohol content and antioxidants like flavonoids and resveratrol (higher in red wine) appear to be the active components in both types of wine; alcohol can raise HDL (“good”) cholesterol, and resveratrol may limit blood clotting, but more research is needed to understand exact mechanisms. Regardless of color, wine in moderate quantities (one glass for women, two for men) can support better sleep. Though alcohol intake is known to increase risk for cancer (see EN February 2017, page 7, Alcohol and Cancer Risk), emerging research shows that resveratrol may be a cancer-protective agent. Additionally, a recent study shows that white wine supports lung health. The American Heart Association is clear: heart benefits for wine consumption exist, but these are not great enough to recommend that non-drinkers start drinking to lower risk of chronic disease. Diabetes—Moderate alcohol consumption, especially of red wine, is also tied to a lower risk for type 2 diabetes. Compared to individuals who don’t drink at all and to individuals who drink heavily, moderate drinkers have been found to have a significantly lower risk of developing diabetes. Both red wine and non-alcoholic red wine (but not gin (a hard alcohol with no polyphenols)) were found to improve blood sugar regulation and insulin sensitivity in one recent study, suggesting that it is the non-alcoholic components of red wine (mainly polyphenols) that have a beneficial effect on blood sugar and insulin function. Alzheimer’s/Dementia—In the past decade or so a number of studies have reported significantly reduced risks of either cognitive decline, dementia, or Alzheimer’s for those who consume moderate amounts of alcohol including red wine in comparison to those who don’t drink. Moderate red wine consumption significantly prevents memory deterioration and the development of Alzheimer’s-type brain changes in animal studies. Even for people without dementia, moderate consumption of red wine may improve brain function. Findings from the Nurses’ Health Study, a large study in women, found that women who consume moderate amounts of alcohol, including red wine, have better cognitive function. Depression— In one of the latest studies to investigate the health benefits of red wine, 5,505 men and women aged 55 to 80 years were followed by Spanish researchers for up to seven years for signs of depression. Those who consumed moderate amounts of alcohol, mostly in the form of red wine in the range of two to seven drinks per week, had significantly lower rates of depression compared to people who did not drink any alcohol. Specifically, wine consumption was significantly associated with a 32% lower rate of depression. The findings remained significant even when other factors such as smoking, diet, and marital status were taken into account. Heavy drinkers, not surprisingly, seemed to be at higher risk. These findings did not surprise the researchers given the fact that depression is now known to share some of the same underlying causes, such as low-grade inflammation, as heart disease and other chronic diseases known to respond favorably to red wine consumption. Red wine can help protect you from heart disease, diabetes, dementia, and depression, among other chronic diseases. Just remember that the benefits associated with red wine depend on moderate and regular consumption. That means about 1-2 glasses a day for men and ½ -1 for women. More is not better; in fact, more is worse, so please don’t overdo it. In addition, the healthy effects of wine are greater when it is combined with a healthy diet, such as the Mediterranean diet, which combines moderate wine consumption with a diet rich in fruits, vegetables, extra virgin olive oil, fish, and whole grains. Wine certainly can’t replace a healthy lifestyle, but it can be a part of one. So raise your glass and toast to that! Health experts also point out that prevention of chronic disease is not a reason to start drinking. 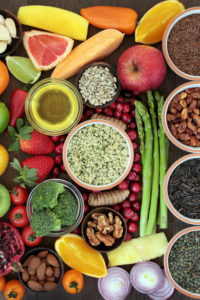 There are plenty of other healthy foods and beverages you can add to your diet to help prevent chronic diseases like heart disease and dementia. Nutrients. 2012 July; 4(7): 759–781. N Engl J Med 2005; 352:245-253. BMC Med. 2013 Aug 30;11(1):192. 2 diabetes, a heart attack, add, alcohol, alcohol consumption, alzheimer, alzheimer s dementia, alzheimers, antioxidants, atherosclerosis, benefits of red wine, better sleep, blood pressure, blood pressure reduce, blood sugar, brain, calories, cancer, cancer risk, cardiovascular, cardiovascular disease, cardiovascular disease, cholesterol, cognitive decline, cognitive function, dementia, depression, diabetes, diet, good cholesterol, hdl, hdl cholesterol, health, healthy diet, healthy lifestyle, heart attack, heart disease, heart disease risk, heart failure, improve brain function, inflammation, insulin, iron, lung health, magnesium, mediterranean diet, memory, nurses health study, nutrients, polyphenols, potassium, resveratrol, risk of heart disease, signs of depression, skin, sleep, smoking, stroke, sugar, the mediterranean diet, type 2 diabetes, vegetables, vitamin, vitamin b6, whole grains, wine. The report I just read includes no citation of any of any scientific studies which may support the stated thesis that red wine is good. I’d like to believe it but no have no way to verify the truth of what this item says. It seems to be rather poor scientific reporting.